Basic online selection of home, residential, business & commercial standby generators from Kohler. 13,000 watts (13 kW) to 30,000 watts (30 kW), 1 Phase, Gaseous engines from Cummins, Kubota & GM. We have high quality generators at a fair price. 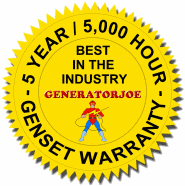 Buy a quality generator the first time and save money in the long run. If you are looking for Cummins home standby generators this is the right page.